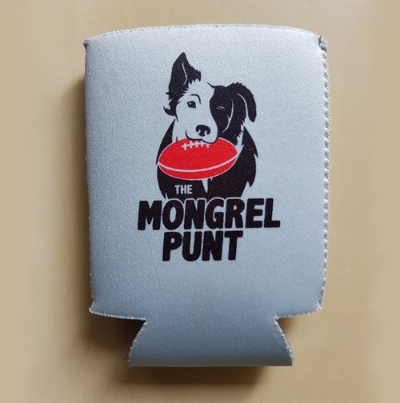 The Adelaide Crows Fly Many Ways To Glory — The Mongrel Punt Become a Patron! As the Adelaide Oval overflowed, a good team established themselves as a great one. The AFLW Grand Final saw the Adelaide Crows holding the cup aloft for the second time in three years, and Erin Phillips further establish herself as a household name. However, glory does not stop with a pair of AFLW flags. Those victories must set a new standard for an organisation that has doubled its trophy cabinet via a means that, three years ago, didn’t even exist. The Adelaide Crows women’s team has taken the football world by storm and rejuvenated a football club that now has seen no men’s flags in over twenty years. The Crows have found success, like many others will, outside of the traditional realm and discovered new possibilities that were once unimaginable. They are far from the only team that pioneered a national women’s competition, but of all the clubs in the AFL, they have perhaps been most daring, brave – and able – to expand their horizons beyond the status quo. This goes beyond the incredible AFLW revolution, as all facets of their football club are keeping pace, and in some cases setting the pace of the AFL’s age of modernisation. The Crows have forecast this significant shift in the AFL and sporting landscapes better than most and capitalised on it to the greatest extent. Meanwhile, some clubs are still failing to comprehend its significance. Adelaide have broadened their business so that it is no longer purely a South Australian men’s football club but a national sporting organisation with international ambitions. Since Adelaide’s AFLW team was established in 2017, the Crows have also introduced an e-Sports team along with Essendon. It competes in the Oceanic Pro League, which consists of teams from Australia, New Zealand and other Oceanic countries. Moreover, the Crows last year formalised their purchase of the Australian Baseball League (ABL) team, Adelaide Bite. The strategy behind the move was to “broaden its reach across Australia, Asia and the United States.” Furthermore, Adelaide is seeking to stage a pre-season game in India, the nation that is set to overtake China as the most populous on Earth, alongside Essendon. Many in the outer will scoff as the Crows look to expand. They will say that the club should just “focus on footy,” and I understand the sentiment behind their views. But these ventures and diversification of their business has continued to strengthen the Crows off the field to the extent that they are clearly one of the stronger teams in the competition financially. Despite a disastrous on-field season in 2018, the Crows still made an operating profit of nearly $4 million on the back of its revenue streams outside its primary business. This gives the Crows a massive base to build upon to make a monstrous profit if finals success (and all the financial benefits that follow) eventuates in the next couple of years. It also makes on-field success all the more likely, as the Adelaide Crows have no restrictions whatsoever in using that hefty profit to fully fund their football department. But more importantly, this broad philosophy of thinking outside the norm, provides the Crows with more avenues for success, as we saw during the AFLW Grand Final. Isn’t that why football clubs exist to begin with? The Crows are the first club to truly reap the rewards of daring to be different. However, for all the clubs that do not get it, there are several on the cusp. The AFL’s youngest club, tipped to one day be it’s biggest, GWS, were also an AFLW pioneer and are considering entering e-Sports territory as well. The Giants are also, in conjunction with Richmond, investigating the feasibility of playing a game in India for premiership points as opposed to merely a pre-season fixture. GWS have also made the leap from football club to sporting club and have already established a netball team in the National Netball League. Collingwood too have a netball team, an AFLW team, a wheelchair team and are considering expanding into eSports. The Magpies, under Eddie McGuire, are undoubtably one of the AFL’s great innovators which is why they are the league’s most powerful club. They’re not planning on resting on their laurels. Adelaide’s crosstown rivals, Port Adelaide have also been bold in their off-field strategies, despite having fewer resources at their disposal. Port Adelaide’s infiltration into the Chinese market was nothing short of a sporting masterstroke that is already paying dividends. Port’s “China Strategy” now accounts for $6 million revenue every year. The Power originally positioned itself for the first South Australian AFLW license – Erin Phillips photoshoot and all! – but did not apply when push came to shove. This is because the enormous risk associated with the China Strategy was too much for Port Adelaide’s then vulnerable off-field funds to also take on an AFLW team as well. But that does not ease the bitterness of those at Alberton watching Adelaide triumph again. The time for Port Adelaide will come, as it will for all those who look behind the boundary lines to grow this great game. They too will prosper. Fortune may often favour the brave, but it also favours the intelligent. When you combine bravery and intelligence, it results in success. 53 thousand people and two premiership cups can’t be wrong. Older PostThe Best Taggers In The Game - Who Is #1?